It's been a long day today! I'm so tired and I'm getting ready to hit the sack but I just have to let you guys know that I really had fun today! 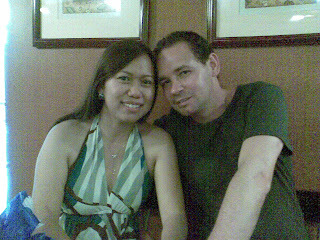 I met my dear cousin Lainy's "fiance", Kuya Scotty. I toured them at the Ayala malls, watched a movie with them, and did karaoke with them just a few hours ago. We had a lot of fun today! And I'm just so glad to learn that they're now engaged! Thanks Kuya Scotty and Lainy for the treat! I really had fun!